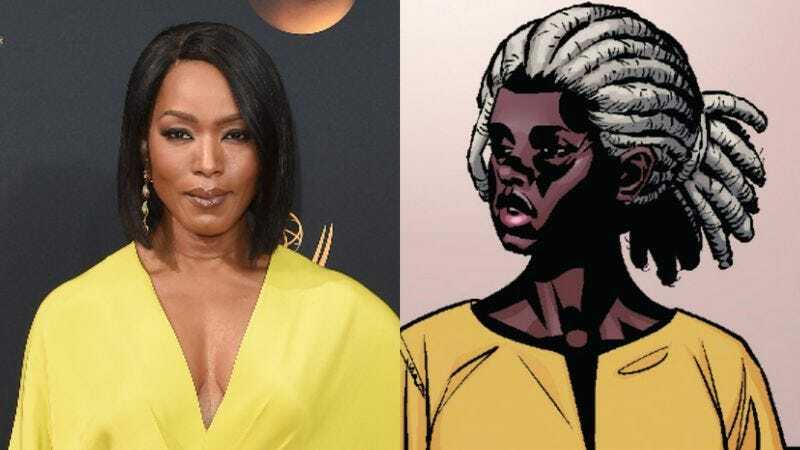 The cast of Marvel’s Black Panther movie is continuing to get more and more stacked with famous people, as Deadline is reporting that Angela Bassett has just signed on to play Ramonda, the mother of Chadwick Boseman’s T’Challa, a.k.a. the Black Panther himself. It’s unclear how big of a role Bassett will play in the film, but considering that family and legacy are very important to the Black Panther mythos in the comics and T’Challa father was famously blown up in Captain America: Civil War, we imagine she’ll have a bit more to do than, say, Thor’s mom did in the Thor movies. Bassett will now be joining Boseman, Michael B. Jordan, Lupita Nyong’o, and Forest Whitaker in the film, which is being directed by Creed’s Ryan Coogler. Black Panther won’t be in theaters until 2018, so there are still plenty of Marvel movies we have to get through between now and then.